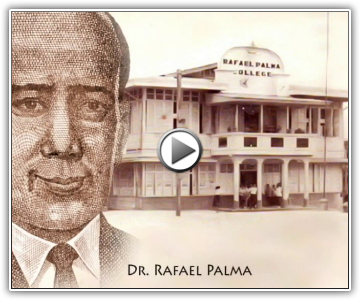 The University of Bohol was originally named Rafael Palma College after the greatest scholar of his time, the late Dr. Rafael Palma. Its history is an account of how a group of public and civic spirited citizens of the province of Bohol ventured to establish an educational institution in answer to a long felt need of college education to those who could not afford to study outside the province. Rising from the ashes of World War II in 1946, the Boholanos welcomed with anticipation the birth of a local college whose first members of the Board of Trustees were: Dr. Pio C. Castro, President; Mr. Mariano Rocha, Vice President; Atty. Felix Magdales, Secretary; Mr. Catalino Castillo, Treasurer, and Atty. DonatoGalia, members. The first permits for the pioneer courses were granted by the Bureau of Private Schools on June 10, 1946 through the earnest efforts of Atty. Victoriano D. Tirol, Sr. The idea upper-most in the minds of the founders was to establish a non-sectarian, non-profit, and non-political school that would offer high standard of instruction within the reach of the common man. The school is supported by subscription from public-spirited citizens who, without any personal interest, have devoted themselves to the cause of raising the educational and cultural horizon of the people. The College admitted to her halls in July, 1946, 622 students. Since then she had grown in size, leadership and influence far beyond the dreams of the founders despite inadequate revenues, adversities and prejudice. 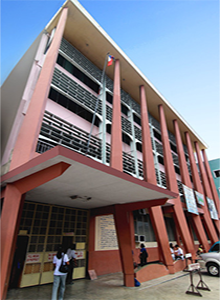 The institution now offers instruction in many branches of knowledge on the postgraduate, graduate, collegiate, secondary, elementary and pre-elementary levels. The University opened the UB - Victoriano D. Tirol Advanced Learning Center on June 1995, a highly competitive school for basic education in an 8-hectare campus in the suburbs of the city as a development thrust for the 21st century.